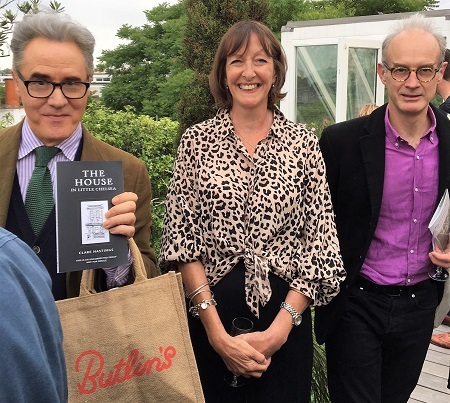 Pimpernel Press launched Clare Hastings' The House in Little Chelsea, a fictionalised social history, with a party on the roof of the house in question. Hastings is pictured with management consultant and author Peter York (stylishly brandishing a Butlin's tote bag) and Jonny de Falbe of John Sandoe. Also at the party were booksellers from Heywood Hill, the Soane Museum, the Hungerford Bookshop and Nomad Bookshop.